Although Democrats control the governor's office and the state legislature, corporate interests proved once again in 2013 that they control California's environmental agenda. 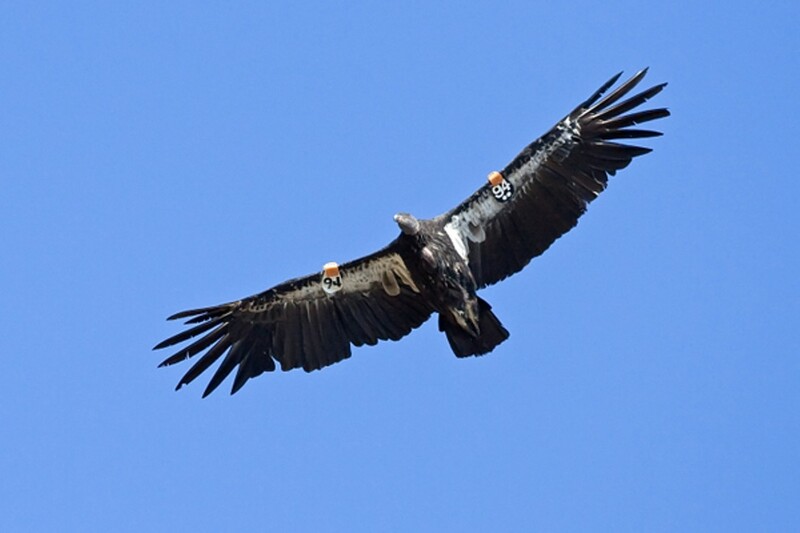 The ban on lead ammunition in hunting is expected to help protect California condors and other large raptors. The first half of 2013 was a heady time for the environmental movement in California. After all, there was a Democrat in the governor's office who talked openly about the need to address climate change, and Democrats enjoyed a super-majority in both houses of the state legislature. By spring, Democrats had introduced numerous bills in Sacramento that sought to strengthen the state's environmental laws, including several that would have enacted a ban on fracking — the controversial oil and gas extraction method that involves shooting water and toxic chemicals deep into the earth. But by late summer, hope had turned to heartbreak, after Big Oil and Gas interests unleashed a barrage of campaign donations and intense lobbying efforts to block or gut environmental bills, one by one. By fall, it was clear that Big Money had trumped the environment once again, and that it didn't really matter whether Democrats or Republicans were in control in Sacramento. And so by year's end, 2013 turned out to be a disappointment for the environment, save for a few bright spots here and there. "It was a tough year," noted Jeff Miller of the Center for Biological Diversity. "We lost big on fracking." Fracking. No environmental story was more discouraging in 2013 than this one. For a time, it looked as if lawmakers might actually place a moratorium on fracking so that state regulators could thoroughly examine its impacts on the environment. A lot was at stake: Fracking has been linked to groundwater contamination, air pollution, and even earthquakes. Plus, fracking furthers our dependence on fossil fuels at time when climate scientists agree we should be transitioning rapidly to renewable energy. But there's also a lot of money to be made from the state's massive Monterey Shale deposit. So oil and gas companies mounted a full-court offensive in Sacramento, desperate to get their hands on the estimated 15 billion barrels of fossil fuels that fracking promises to extract in California. And following a series of closed-door meetings, they got what they wanted in the waning days of the 2013 legislative session: Democratic state Senator Fran Pavley agreed to eleventh-hour amendments to her bill, SB 4 — amendments that require the state to approve all fracking requests during the next two years as long as certain conditions are met. And to make matters worse, Governor Jerry Brown had the temerity to claim that SB 4 was a win for the environment — even though nearly every environmental group in the state had opposed the oil and gas industry-sponsored changes to the bill. The giant water tunnels. The fight over Brown's $25 billion plan to build two massive water tunnels underneath the Sacramento-San Joaquin River Delta is not over yet, but the governor, who views the tunnels as a legacy project, appears intent on putting the full weight of his administration behind it, despite the fact that it could ruin the fragile delta. The tunnels threaten to divert too much freshwater from the Sacramento River before it reaches the delta, raising concerns that they will make the largest estuary on the West Coast too salty for numerous fish species, including endangered salmon and smelt. The project also promises to wreck the livelihoods of many small farmers in the Delta region. So who would benefit? Big Business: large farms that would receive freshwater to grow crops and livestock in a dry desert area of the San Joaquin Valley that is controlled by the Westlands Water District, one of the most powerful political forces in state politics. If what happened with fracking this year is any indication, then it's a good bet that the water tunnels will get built. Food waste. According to the US Department of Agriculture, about 49 million Americans went hungry at some point in 2013. And yet we learned this year that 40 percent of the American food supply is wasted — mostly because of misleading labels with use or sell-by dates that have nothing to do with food safety. All that waste also worsens greenhouse gas emissions, overloads our landfills, and costs us about $165 billion a year. Plus, the problem is deepening. The amount of food we waste has doubled in the past forty years. Antibiotic-resistant bugs. Another disturbingly large number that made headlines this year was 23,000: That's the number of Americans who die annually from antibiotic-resistant super bugs. And the primary culprit for the rise of super bugs nationwide is factory farming — specifically, the widespread use of antibiotics on livestock so that animals won't get sick while living shoulder-to-shoulder in close quarters, standing in their own excrement. Earlier this month, the FDA announced a plan to eliminate the use of antibiotics in factory farming, but environmental groups criticized the proposal because it's a voluntary program. The possible end of pastured eggs. The FDA came under even more intense criticism for proposed rules released earlier this year that threaten to put pastured-egg farmers out of business. Eggs produced from chickens that live outdoors on pastureland — as opposed to cramped indoor facilities — are not only healthier for you, but also are better for chickens and the environment. But environmental groups note that the FDA's proposed rules, which are designed to keep pastured chickens away from wild animals in an attempt to prevent disease, are misguided because factory farms are the real cause of food-borne illnesses nationwide — not pastured-chicken farms. The ban on lead ammunition. Assembly Bill 711, which banned the use of all lead ammunition in hunting in California, was perhaps the only true environmental win this year in Sacramento. 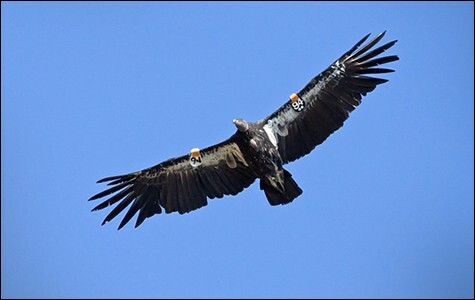 The ban, which Brown signed into law, will protect wildlife in the state from mistaking lead fragments and particles for food and from ingesting lead-poisoned carcasses of animals shot by hunters. Marine wilderness. California is poised to create the first marine wilderness on the West Coast, thanks to an appellate court ruling that denied a request by a controversial oyster farm to remain open at Point Reyes National Seashore. However, the oyster business, Drakes Bay Oyster Company, has refused to leave and has asked for a rehearing in front of the full Ninth Circuit Court of Appeals. A decision is expected next year. Urban growth. Proposals for dense housing projects in Berkeley, Oakland, and other cities in California were on the rise in 2013 — a positive development in the fight against climate change. The expansion of smart-growth, or transit-oriented development, is essential to curbing suburban sprawl and limiting the quantity of greenhouse gases produced by long car commutes. Governor Brown also may have helped this effort this year by approving a few reforms to state law that promise to help make it easier to build smart-growth projects in urban areas. Bicycling. Oakland continued on its path to becoming a more bike-friendly city, thereby encouraging people to use cars less often. The city, at the strong urging of bicycle-activist groups, expanded the number of bike lanes and "sharrows" (large arrows painted on streets to remind motorists to share the road with cyclists). The city, however, also took a step backward when it ended a bike-friendly pilot-program that had banned cars in Latham Square in downtown. The elimination of flame retardants. California also finally addressed the environmental health problems posed by flame retardants, adopting new flammability standards for furniture and other consumer products. The new rules allow manufacturers to stop using toxic flame retardant chemicals, which pose numerous health concerns, including harming brain development. Fighting back. Although it was mostly a bad year for the environment, one new development late in the year presented a ray of hope for turning things around in 2014. In recognition that politicians often respond to public pressure, some environmental activists in California have started to directly confront Democratic elected officials who claim to be green but then side with corporate polluters when it really matters. The most visible of these direct action campaigns has involved Governor Brown. Throughout the fall of 2013, environmental activists hounded the governor, showing up at his public events and protesting his decision to greenlight fracking. The demonstrations have made Brown uncomfortable, while raising the public profile of the anti-fracking cause. And then last week, environmental activists ratcheted up their efforts by launching the "Big Oil Brown" campaign, which seeks to highlight the governor's hypocrisy: his claim of being a climate champion while agreeing to expand fracking after accepting millions in donations from oil and gas interests for his political campaigns and favorite causes. "The oil industry in California — and throughout the nation — is really trying to manipulate our Democracy," said David Turnbull of Oil Change International, an environmental group that keeps close tabs on the political influence wielded by oil and gas companies throughout the country. "And we need to hold people accountable when they talk about climate change." And holding Democrats accountable in California may be the only effective way for environmentalists to combat the power of Big Money in the years ahead. The governor wants us to slash water use by 20 percent but is doing nothing about the massive amounts of water that Big Oil and Gas waste during fracking.